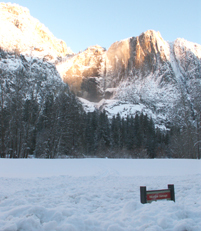 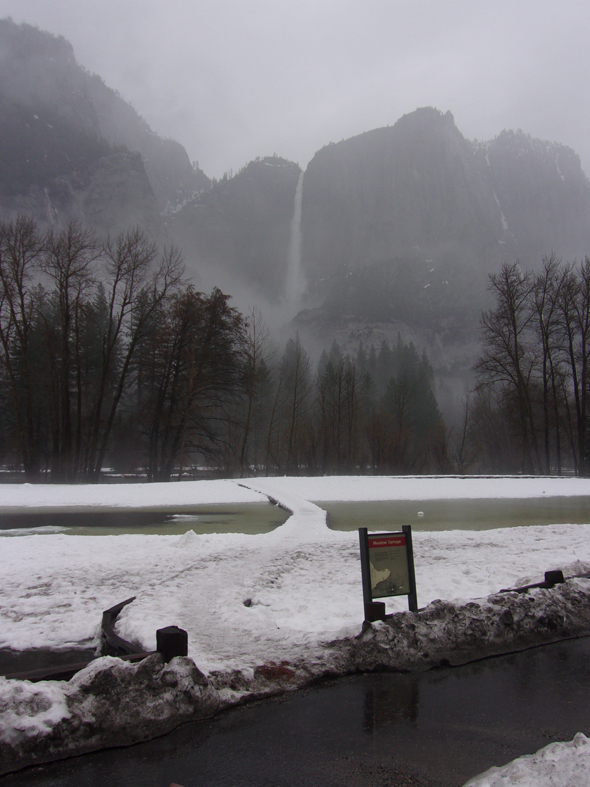 Yosemite Falls and snowy meadow February 4, 2008. 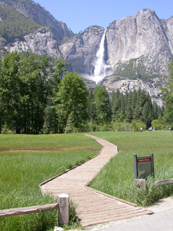 In the NPS photo of flooded Sentinel Meadow taken May 16, you can just make out the sunken edge of the boardwalk across the meadow between the two posts on the fence and can just see Yosemite Falls thru the low clouds in the background. 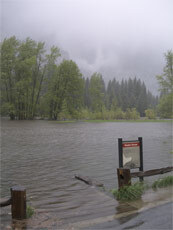 Next to it is the same place in June, 2005 and on the right, February 4, 2008.